Sleek, sturdy and masculine, the Men’s Wallet with tri-fold design is a must-have accessory. 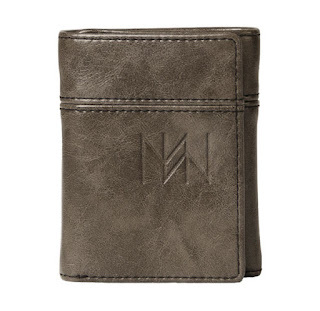 Marbled graphite faux leather with ID slot, six card slots and bill compartment. Also features a subtle Miche debossed monogram logo. Dimensions: 3 ¼” long (folded) x 4” tall.